We are one of the leading manufacturer & supplier of Bar Furniture. 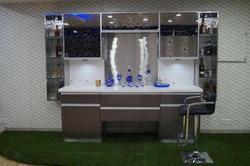 Leveraging on our rich industry experience, we are offering our clients Modular Bar Furniture. Our range of modular kitchens is designed using modern machinery & latest technology. Our Modular Bar Furniture are extensively treasured by the customers due to their quality features like perfect finish and longer life. 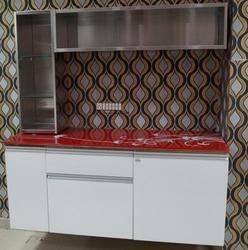 Our dear customers can easily take these Modular Bar Furniture at nominal rates. We have marked a distinct and dynamic position in the market by providing a high quality array of Decorative Bar Furniture. With a purpose to satisfy our customers, we offer these Bar Furniture in various design & size. Moreover, our professionals design the offered Bar Furniture by utilizing best quality material so as to guaranty their durability. We carry out the entire manufacturing process of these Bar Furniture under the direction of experts who take care about globally laid quality standards. Customers can take these Bar Furniture from us at market leading rates. Having a definite quality management system, we are regarded as the noteworthy manufacturer and supplier of an extensive gamut of Designer Bar Furniture. Our offered Bar Furniture are made from quality assured material to make certain their quality. 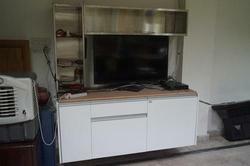 These Bar Furniture are properly examined on different quality provisions to dispatch flawless range. Apart from this, our Bar Furniture are maintenance free and can be availed in various specifications & customization options from us. Owing to the expertise of our professionals, we are betrothed in offering our clients Bar Furnitures. These Bar Furniture are made as per the industry norms by utilizing finest grade material and advanced technology. Moreover, these Bar Furniture are posed with the incredible features the excellent finish, great strength & high durability. According to the customer’s requirements, we offer our Bar Furniture in different designs, and sizes. We offer these Bar Furniture to our respected customers at reasonable rates.